BRUSSELS, Belgium, (BulgarianMilitary.com) – Yesterday’s statement of European Commission concerning the latest French President’s calls for “real European army”, shows that the EU institution in general supports Emmanuel Macron’s view that there is such a need but finds it too early to be talked about a creation of EU armed forces, learned BulgarianMilitary.com. The above statement was made by Margaritis Schinas, European Commission’s chief spokesperson, on whether the Commission supports the idea of the French President. In his view, the building of the EU army is not the first step to be taken in the process of EU meaningful and aggressive defence identity in difficult geopolitical times. He pointed out that such process should start with joint efforts in areas of research, defence procurement, the purchase of military equipment, EU defense funding and new military peacekeeping missions beyond the borders of Europe. Speaking further on the topic Margaritis Schinas said that a new EU project for collaboration on defence procurement and research already exist. And anyway he welcomes the statement by French President Emmanuel Macron, saying that it is fully compatible with their work. 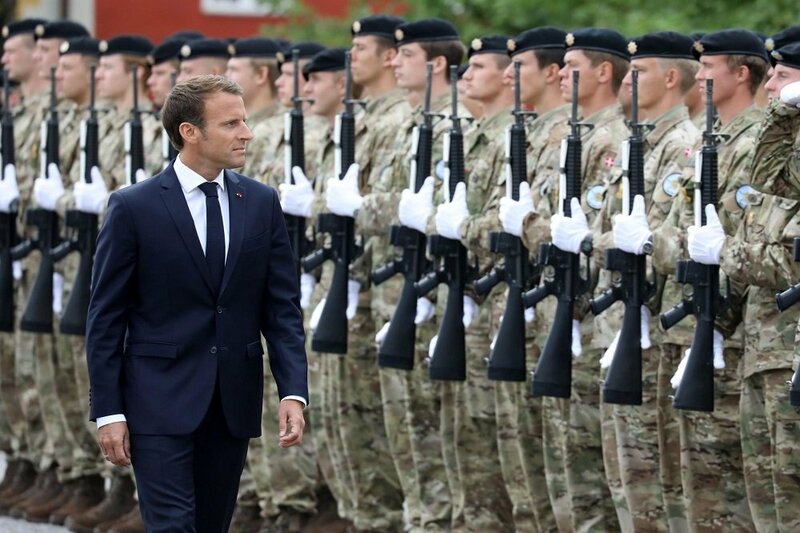 The French President was cited earlier the same day, calling for the creation of “real European army” so that the EU can defend itself from Russia and China, without relying only on the U.S. for that purpose. He pointed out precisely Europe as the victim of the U.S. decision to withdraw from the Intermediate-Range Nuclear Forces (INF) Treaty. European Commission President Jean-Claude Juncker, has long supported the idea that the European Union must have common defense capabilities, different from the dominated by the U.S., NATO military alliance. Despite that, there are some EU leaders who share the view of Britain, namely that if the EU gets a major military role, this can undermine NATO. And the non-NATO countries in the EU are also cautious in their statements on the subject. However, this does not change the fact that, the most member states agreed to cooperate on financing and developing their armed forces, which happened in December 2017.